In many organizations, personnel costs are among the largest budget line items, and given the top challenges facing CEO's, organizations need their leaders, managers, and people aligned and working together at the highest levels of performance. 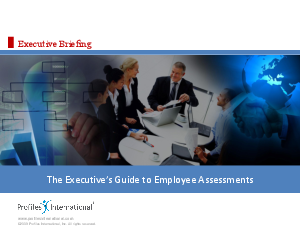 Employee assessments can give organizations and managers consistent, in-depth, and objective information about their people. Information uncovered from assessments helps leaders and managers rely less on gut instinct and make smarter people decisions.